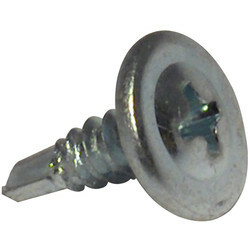 Secure plasterboard with the Toolstation selection of plasterboard fixings and drywall tools from our screws and fixings range. 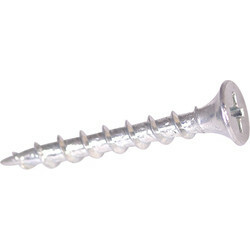 Find a vast array of sizes of drywall screws in black phosphate and stainless steel, designed to fix plasterboard to wooden battens. 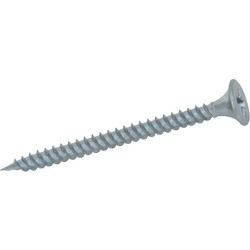 The drywall screw has a bugle head with Phillips recess that allows the drywall screw to be inserted with no damage to the board surface. 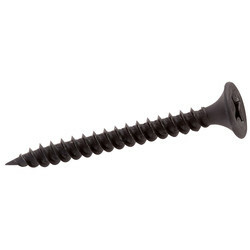 Black phosphate drywall screws come in packs of 500 or 1,000 and can be purchased in varying sizes up to 100mm. Collated packs of the most popular sizes are available for auto screwdrivers. 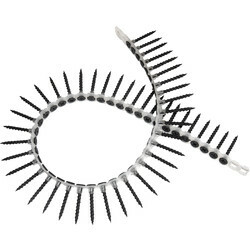 Collated drywall screws come with a phosphate coating for increased corrosion resistance and the Phillips drive, bugle head and sharp point allow fast and precise infiltration through studding or batons. Click and collect in one hour from your nearest Toolstation branch or spend over £10 online for free delivery.